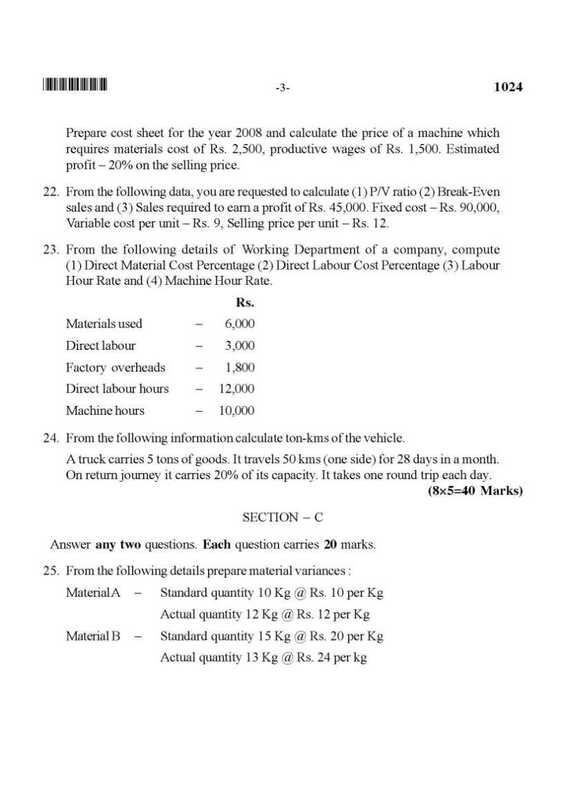 Can you please give me the previous year question papers of B.Com 1st year of University of Kerala? Answer any ten questions. Each question carries 2 marks. 1. What is a clean audit report ? 2. What is a bonus share ? 4. What is an Audit Note Book ? 5. What do you mean by Teeming and Lading ? 6. What is internal check ? 7. What is capital reserve ? 8. What are working papers ? 9. What is performance audit ? 10. What is issue of shares at premium ? 11. What is routine checking ? Answer any eight questions. Each question carries 5 marks. 13. State the procedure for vouching purchase returns. 14. Suggest a suitable system of internal check for petty cash transactions. 15. Distinguish between interim audit and internal audit. 16. State the duties of an auditor with regard to transmission of shares. 17. What is vouching ? What are its advantages ? 18. Examine the legal status of a company auditor. 19. Distinguish between financial audit and cost audit. 20. 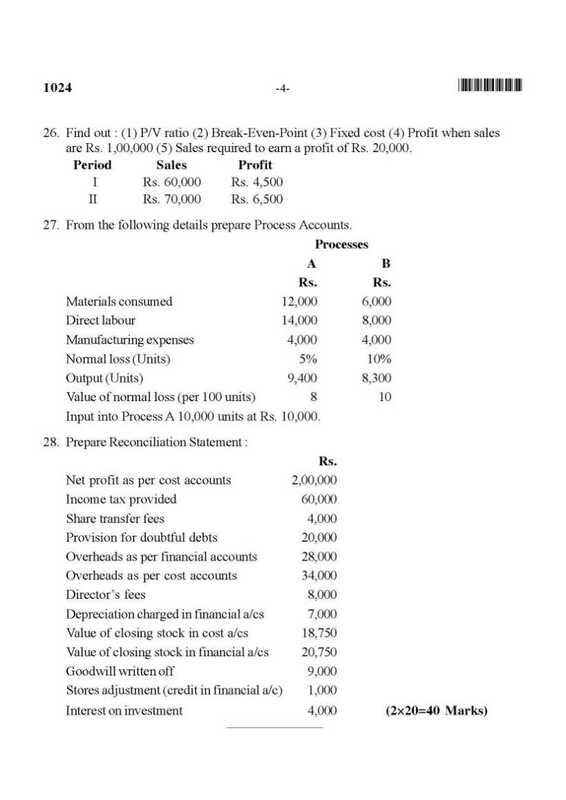 Explain the vouching of sales ledger. 22. Write a note on â€˜Auditâ€™ in depth. 23. State the objectives of Government Audit. Answer any two questions. Each question carries 20 marks. 25. What are the advantages of an audit ? Briefly explain the qualities of an Auditor. 26. Explain the vouching of petty cash book. 27. Suggest a suitable system of internal check as regards payments of cash. 28. What do you understand by valuation of assets ? Distinguish between verification of assets and valuation of assets. Mention the auditorâ€™s duty as regards valuation of assets. 1. What is â€œoff-shore bankingâ€� ? 2. What is money at call ? 3. What do you mean by Unit banking ? 4. What is DICGC ? 5. What is â€œminimum reserve systemâ€� ? 6. What is EXIM bank ? 7. What is Development banks ? 8. What is â€œpay-in-slipâ€� ? 10. State the differences between fixed deposit account and current deposit account. 11. Define the word â€œendorsementâ€�. 13. Explain the differences between merchant banks and commercial banks. 14. State the defects of Indian money market. 15. What is â€˜Not Negotiableâ€™ and â€˜Account Payeeâ€™ crossing ? 16. In what way the commercial banks help in promoting exports in India ? 17. State the advantages of branch banking system. 18. State the different forms of lending by commercial banks. 19. Explain the services of a Central Bank as â€œbanker to the governmentâ€�. 20. What is bank rate ? Explain its working. 21. What is â€œCertificate of Depositsâ€� ? 22. State the consequences of NPA. 23. Briefly explain the business prohibited for a banking company. 24. What is differential interest scheme ? 25. What is â€œbanking moneyâ€� ? How is credit created by commercial banks ? 26. What is money market ? Describe the constituents and institutions of money market. far have these objectives been achieved ? 28. Under what circumstances can a banker dishonour cheques of a customer ? Explain consequences of wrongful dishonour.